This is a study about kittens. Lots and lots of kittens. To understand this study, you need to learn the meaning of two terms: sensation and perception. Sensation is the process of bringing information from the external world into the internal body and brain. Perception is the process of selecting, organising and interpreting the raw information that has been taken to the brain by your senses (i.e. touch, taste, sight, sound and smell). Held and Hein were interested in the development of perception. The nature vs nurture debate is one of the most common means used to research the topic of perception. To learn more about the influence of nature and nurture, psychologists have studied human babies, cataract patients, animals, different cultures and adaptation. A large amount of data had already been collected on this subject. However, Held and Hein had an unanswered question: does an individual need to physically move themselves around when they experience visual changes in order to develop their perceptual skills? They decided to test whether being moved around (by someone or something else) while experiencing visual changes was enough to develop visually-guided behaviour, or whether the individual needed to move themselves around in order to learn such skills. The sample was made up of 20 kittens organised into ten pairs (meaning two kittens in one pair… please refrain from becoming too impressed with my mathematical skills). In each pair, one kitten was labelled ‘active’ (A) and the other ‘passive’ (P). Eight pairs were named Group X and were brought up in darkness until they were 8-12 weeks old, then they were exposed to the apparatus. Two pairs were named Group Y and were exposed to the patterned interior of a laboratory while restrained from 2-10 weeks of age for three hours a day. A roundabout apparatus was used. It was built into a cylinder with black, white and “metal” coloured stripes on the inside walls. The centre of the roundabout was also striped. Each pair of kittens was attached to a roundabout in two separate positions: Kitten A could move up, down, left, right, towards or away from the centre, rotate clockwise or anti-clockwise; Kitten P was carried in a basket so it could not move at all, only look and feel the floor with its paws. The centre of the roundabout prevented kittens from looking at each other and they could not look at their own limbs either. 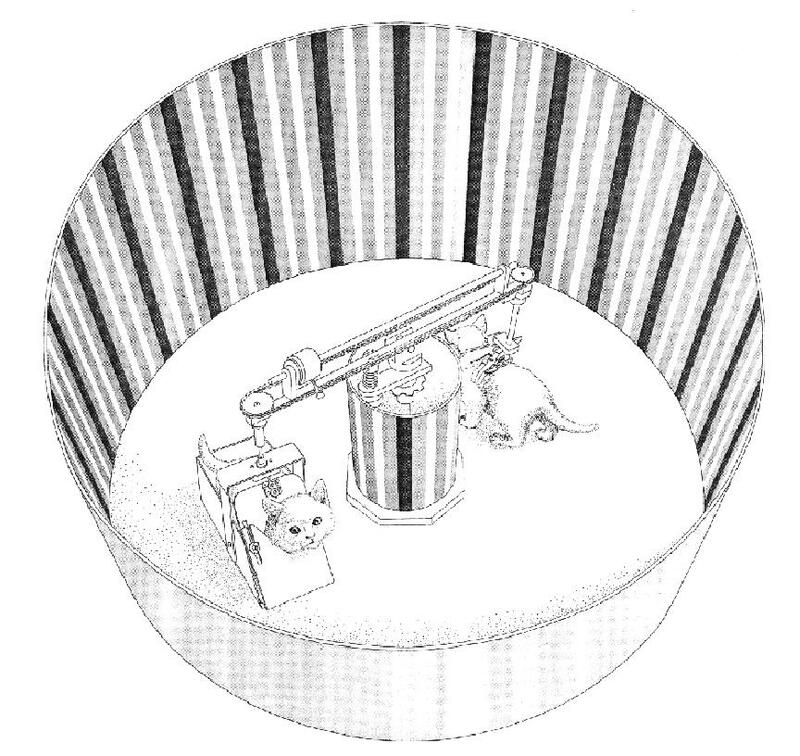 A mechanical system resulted in Kitten A’s movements being replicated onto Kitten P (if Kitten A moved left, Kitten P would also be moved to the left). The kittens were receiving the same visual stimulation but the difference was in their movement: one moved actively (self-generated movement) while the other moved passively (no control over movement). For six weeks, they spent three hours per day in the roundabout. The rest of their time was spent in darkness with their mother and members of their litter. After that, the kittens’ perceptual skills were tested in a brightly lit laboratory. The kitten was held by an experimenter. Its head and forelegs hung freely. It was carried down to the edge of a table. A kitten with normal visual experience would extend its paws in anticipation of contact with the table. The kitten was placed onto a transparent cliff-shaped block. It was placed onto the centre. One side looked ‘shallow’ and the other looked ‘deep’. A kitten with normal visual experience completely avoids the deep-looking side because they have a perception of different depths. The kitten was held in a standing position. The experimenter quickly brought his hand towards the kitten’s face, stopping just in front of it. A kitten with normal visual experience would blink in response. Then, three further tests on visual receptors and responses were carried out. The experimenter moved their hand slowly in front of the kitten. The kitten’s eye movements were recorded. A kitten with normal visual experience would follow the hand with its eyes. 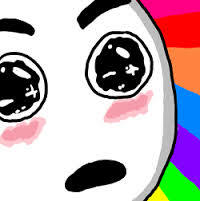 A torch beam was moved across the kitten’s eyes. Any change in pupil size was noted. The pupil of a kitten with normal visual experience would shrink in response to the light. The kitten was held with its forelegs hanging freely. Its front paws were placed against the vertical surface of a table. A kitten with normal visual experience would respond by moving its paws into a horizontal position on the table surface. After these tests, the kittens were let loose in an illuminated room for 48 hours and retested. The ‘passive’ kittens had not developed any of these perceptual abilities; they would not blink in response to approaching objects, they had no sense of depth perception, they did not adjust their body positions. This supports the idea of self-generated movement alongside visual experience being necessary for the development of perception and visually-guided behaviour. After the 48 hours spent in a bright room, the results of the tests showed that all kittens – whether active or passive – had developed a normal set of responses, reactions and perceptions. This was a laboratory experiment with scientific apparatus and controls. The IV was the condition of the kitten: active or passive. The DV was the perceptual skills and development of the kittens. Very high level of control: The biggest strength is the amount of control exercised, for example: kittens were matched on the speed of travel, direction of travel, distance travelled, height from floor, contact with the floor, view of apparatus and surroundings, and the environment they were raised in. Replicable: Since the procedure was basically standardised, it is possible for us to replicate this experiment and check the reliability of the results. Not generalisable: As awesome as cats undoubtedly are, they do not represent all creatures on earth. They are mammals, like human beings, but it is questionable as to what the results would have shown if this experiment was conducted on humans or even on dogs. Questionable validity: It is possible that rather than proving that the perceptual abilities were learned, the experiment only distorted the inborn (natural) abilities of the kittens. In other words, maybe the kittens were born with these skills but the experiment affected them, instead of the kittens learning their skills from the experiment itself. Lack of ecological validity: Due to the artificial conditions of the experiment, the results aren’t likely to be as relevant for real life situations. Kittens aren’t normally bred in dark laboratories and most of them don’t spend their days on miniature roundabouts. Informed consent: As far as I know, animals (even clever ones like kittens) cannot and do not give consent. Deception: Kittens were not and probably cannot be deceived. Confidentiality: Don’t worry, nobody knows the real identities of any of the kittens used in this study. Emotional or physical harm: Time to get serious, this ethical issue may actually be relevant. 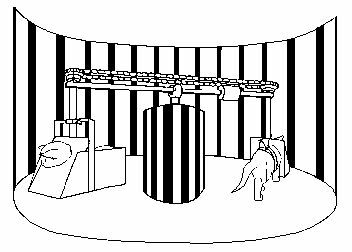 The experimenters basically kept these kittens in complete darkness from birth and put them on little carousels for three hours a day. This may have hindered or disturbed the kittens emotionally, as well as physically distorting their development. Although the kittens eventually showed “normal” responses and skills, they were not living like normal kittens. The right to withdraw: Animals cannot exercise this right. Debriefing: As fun as it is to sit and have long, deep, intellectual conversations with our feline friends, debriefing is not something that they usually get to take part in. Reference: Held, R. and Hein, A. (1963). Movement-Produced Stimulation in the Development of Visually Guided Behavior. Journal of Comparative and Physiological Psychology. 56 (5): 872-876. Does anyone know why the apparatus had stripes? Can I ask what was the purpose of group Y? I know they are a control group but how do I explain that further? and also why was the Passive Kitten in Group Y exposed to the carousel for another 126 hours before being tested? Hey, can you help me with an alternative method of held and hein to investigate visually guided behaviour? For example by using a sample other than animals? I have a college exam in 4 days. Please reply as soon as possible. Thanks! Thank you sooooooo muchh! Bless you!! Sorry but this question is SO vague! You need to be more specific. Alternative method for replication or alternative method to investigate visually-guided behaviour? Are you looking at a past paper question? There are actually so many possibilities. Why were kittens used in this experiment and not any other non-human animals? As kittens are “higher mammals”, like humans, they were a good choice as undoubtedly Held and Hein wanted their sample to be as generalisable to humans as possible to be of any use. Why didn’t Held & Hein take sound into consideration? Like, when the kittens were in the apparatus, they could not see each other, so what if the kittens meowed? They would know that another kitten is present there.. Does sound have any effect on the spatial perception of kittens? Heyy, I just wanted to ask whether you could incorporate some statistics in the summaries of the core studies because my teacher says it gives an added advantage when it is being marked??? Do you mean general statistics? If I’m not wrong, statistics are only relevant in certain places, such as the results (e.g. 60% of participants showed…). In that case, I’ve mentioned it on most of the studies (usually in the Results section). I’ll take another look through all the studies and see if I’ve missed anything out or if I can add more! Feel free to expand on this if I am missing anything! Would appreciate any prods in the right direction, haha. Thanks for your suggestion and comment! why are the kittens being kept in dark cages ? If I’m not wrong, this was a controlled variable. The kittens were all put into a ‘lit-up’ environment at the same time; before that, they were all in the same dark environment. If anyone thinks this needs correcting, please do so! they were reared in the dark until the age of 10-12 weeks to identify the answer to the nature nurture debate, that despite being reared in the darkness, and after exposure only the active kittens acquire the perception but the passive kittens did not indicates that the behavior is nurture and not nature. and then the sensory rearrangement technique answers the question that if nurture is required then simple visual stimulation is not sufficient but freedom of movement along with visual stimulation is a necessary requirement. hope this explains you the purpose of that control.